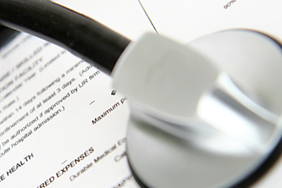 Health insurance, also known as private medical insurance helps you cover the cost of private healthcare. It eliminates the need to be placed on lengthy waiting lists on the NHS. Should you fall into ill health or have an injury, medical insurance could help you on the road to recovery by getting medical assistance quickly, and covering hospital fees, so your life or work needn't grind to a halt. An individual - private medical insurance just for you. It's designed to help cover the cost of private health care by paying a sum on a monthly basis so that you can have access to high quality care when you need it most. A couple - you can add your partner to your policy when you're looking for health insurance - that way you're both covered. A family - although you won’t be able to get a quote for just a child, you can include them when taking out a policy as a family. 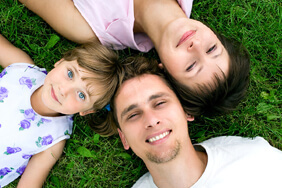 Some insurers may even let you add children to your policy at no extra cost, meaning the whole family could be covered. Children are generally accepted as being under 18 but it is worth checking with your insurance company. Like any insurance there's always a list of things that are and aren't covered, health insurance is no different. If of course, you want an exhaustive list of what is and isn't covered you'll need to check with the provider that interests you. Confused.com medical insurance service is provided by ActiveQuote Ltd of Global Reach, Dunleavy Drive, Cardiff CF11 0SN, registered in England and Wales 6765845. ActiveQuote Ltd Authorised and regulated by the Financial Conduct Authority (FCA Number 501109).